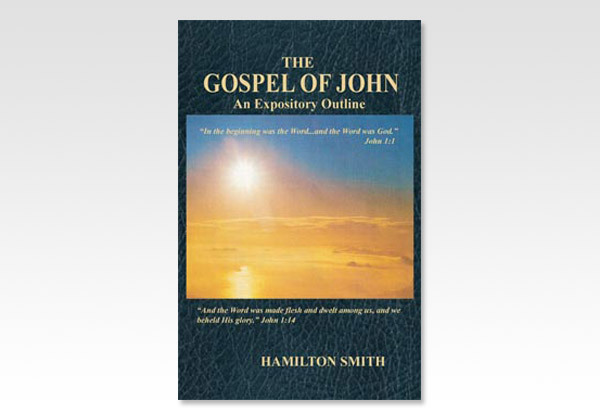 This new commentary on the Gospel of John will give you a greater appreciation of this Gospel which presents Christ as the Son of God, as a divine Person, as its theme. Hamilton Smith, known for his powerful yet brief style of writing, leads you chapter by chapter as the great truths presented by Christ Himself are unfolded for us. We are not aware of this entire commentary being published before in North America, although chapters 13-17 have been published previously under the title, The Last Words. This new book has been slightly edited by Believers Bookshelf for improved readability for 21 st century readers. We believe you will hardly be able to put it down and will grow spiritually by reading it! Hamilton Smith, a cousin of F.B. Hole (another well-known author to readers of Believers Bookshelf publications), was called to be with the Lord in 1943. He had four children and lived his entire life in the United Kingdom.